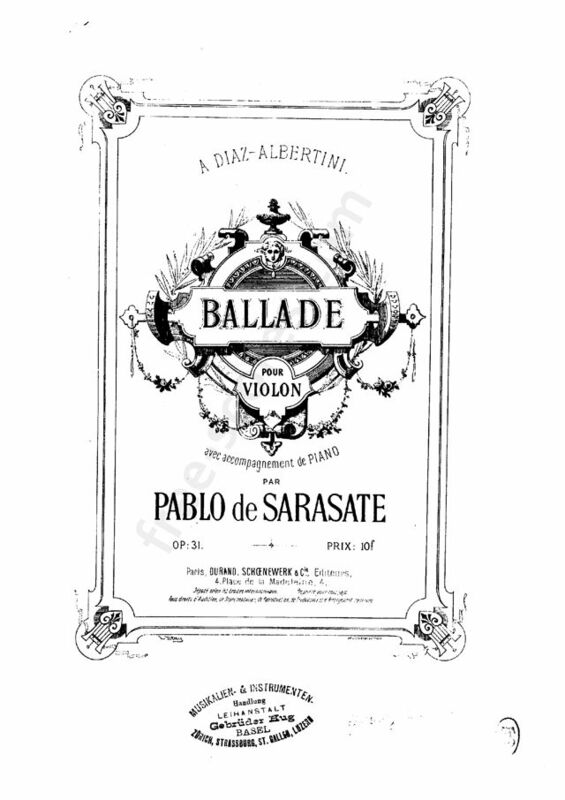 Pablo Martín Melitón de Sarasate y Navascuéz (March 10, 1844 - September 28, 1908, pronounced Sara-SOT-tey), was a Spanish violin virtuoso and composer of the Romantic period. 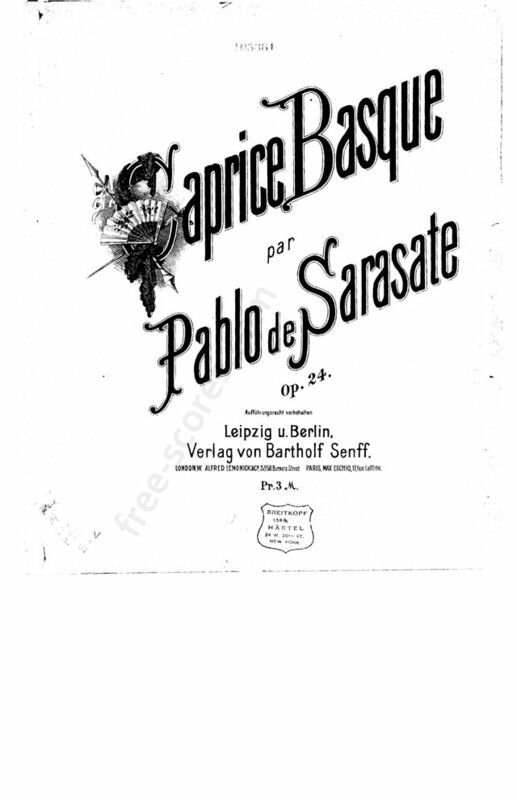 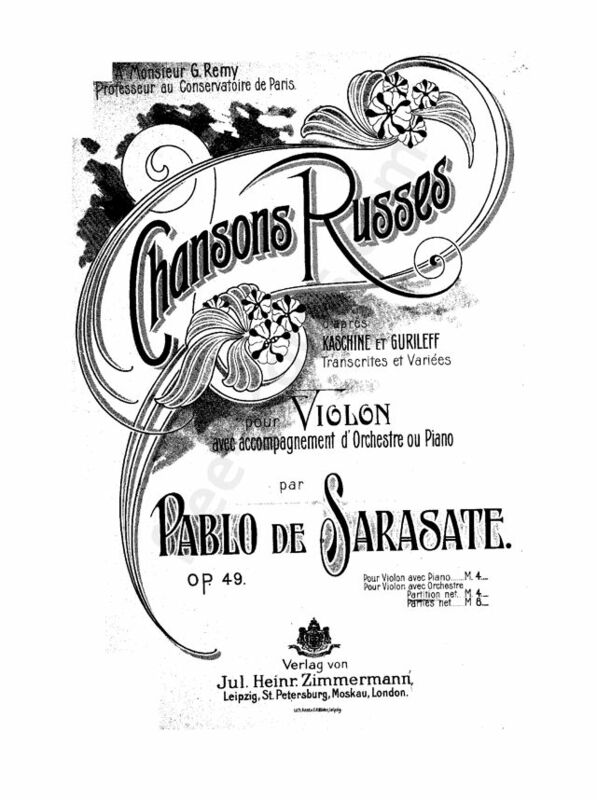 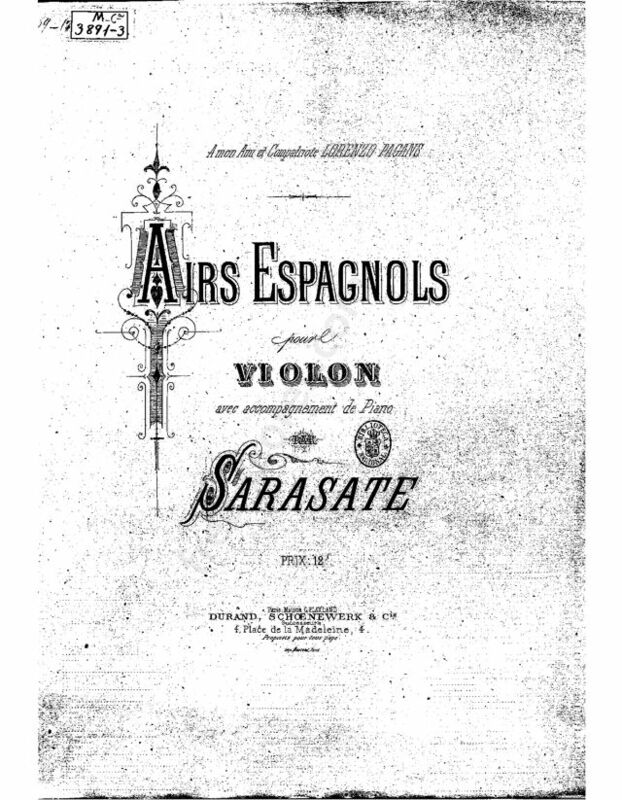 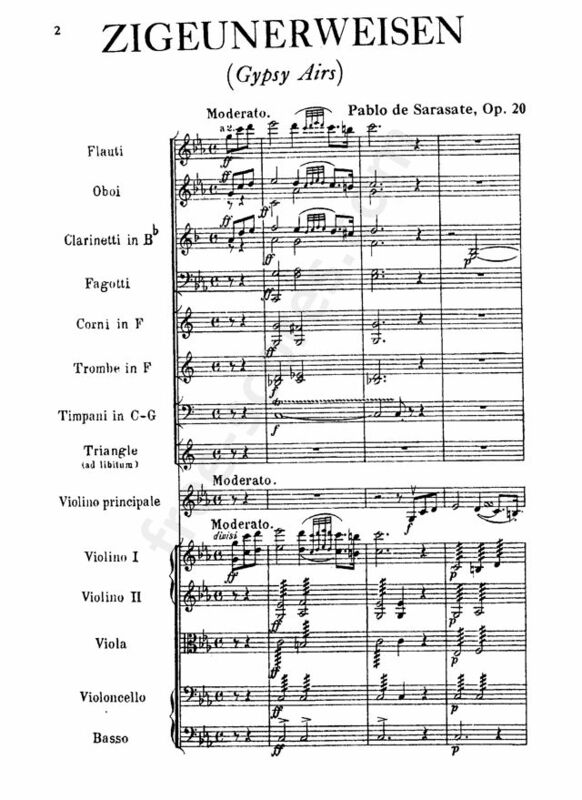 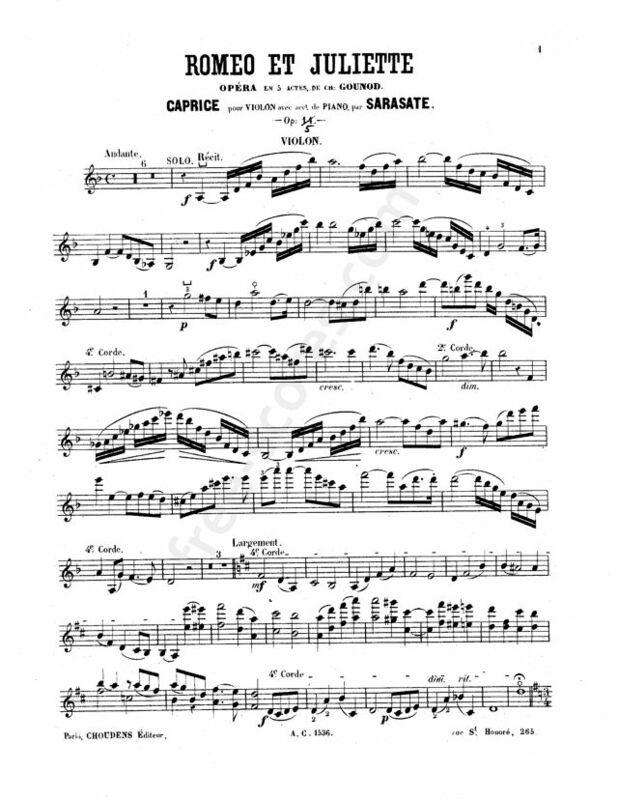 Sarasate was born in Pamplona, Spain, the son of an artillery bandmaster. 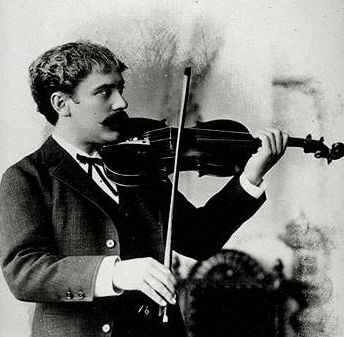 He began studying the violin with his father at the age of five and later took lessons from a local teacher but his musical talent became evident early on and he appeared in his first public concert in La Coruña at the age of eight. 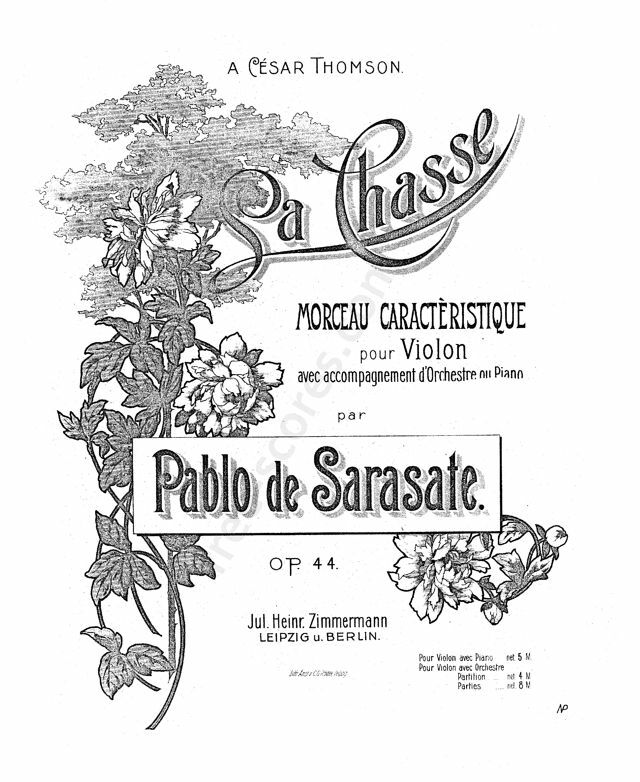 His performance was well-received, and caught the attention of a wealthy patron who provided the funding for Sarasate to study under Manuel Rodríguez Saez in Madrid where he gained the favor of Queen Isabel II. 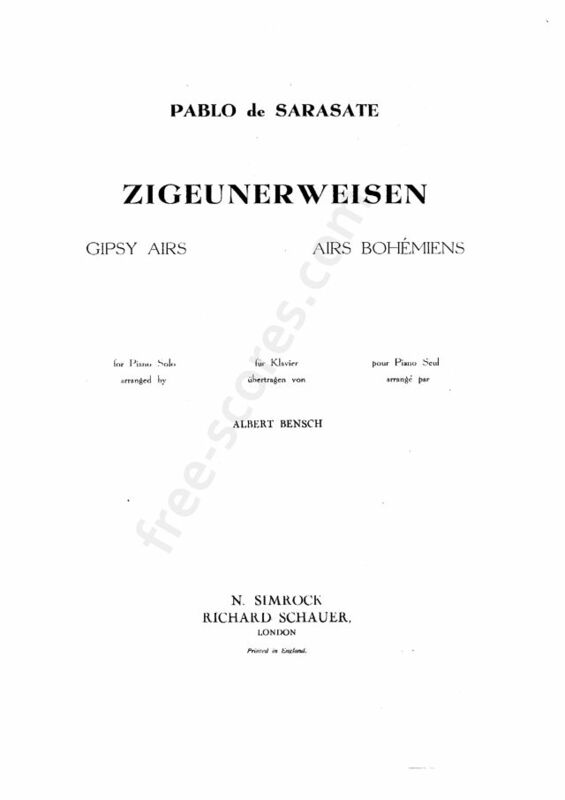 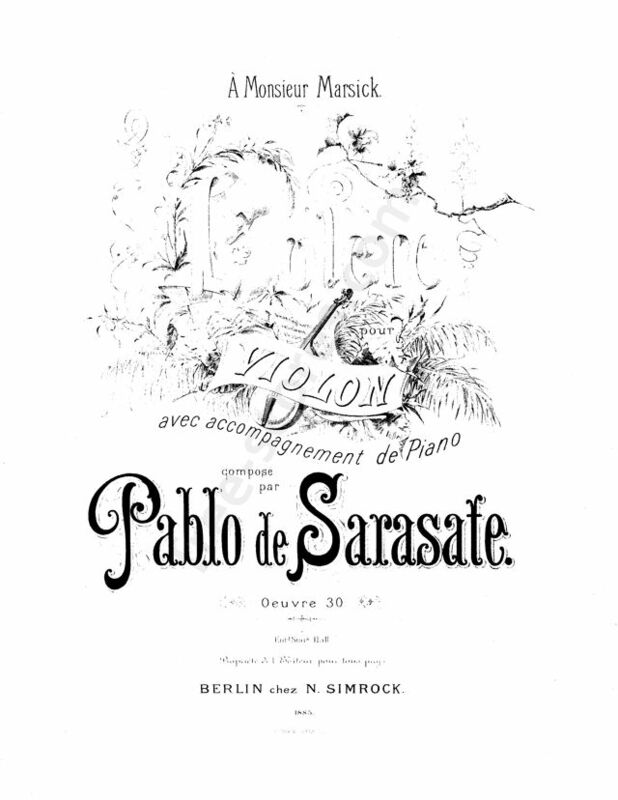 Later, as his abilities developed, he was sent to study under Delfín Alard at the Paris Conservatoire at the age of twelve. 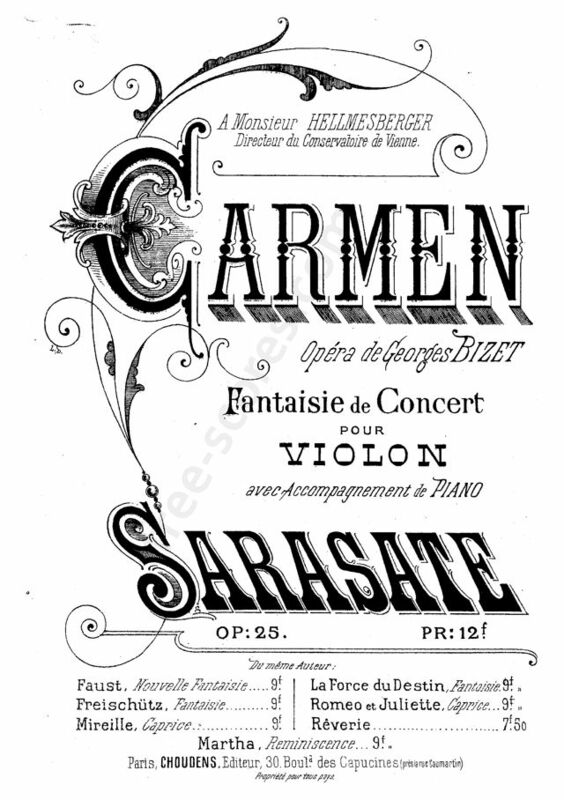 There, at seventeen, Sarasate entered a competition for the coveted Premier Prix and won his first prize, the Conservatoire's highest honor. 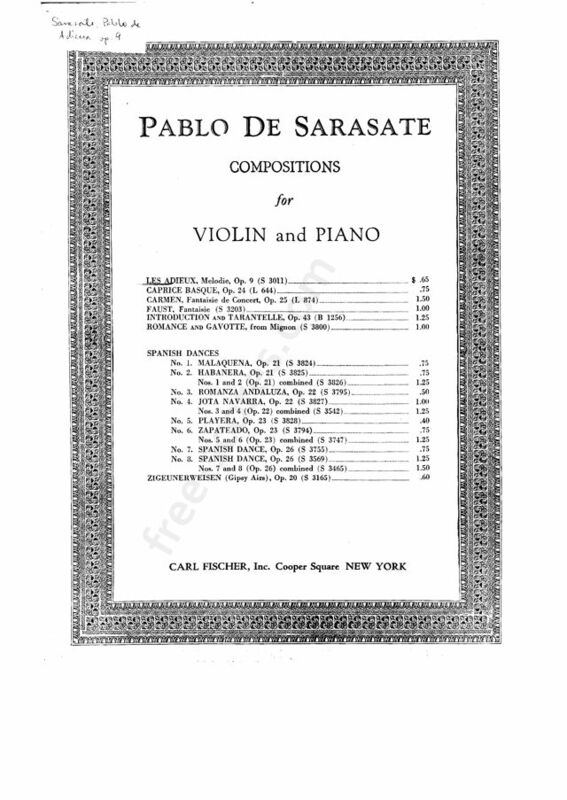 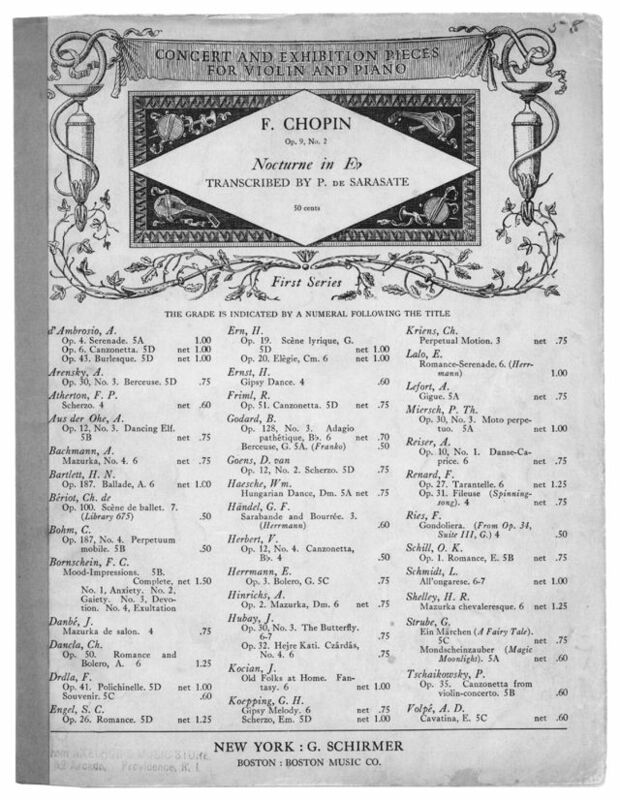 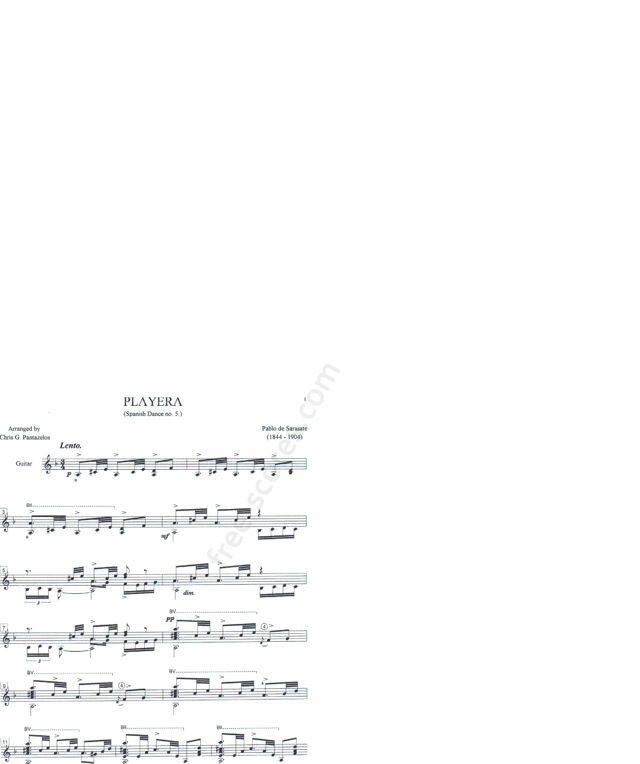 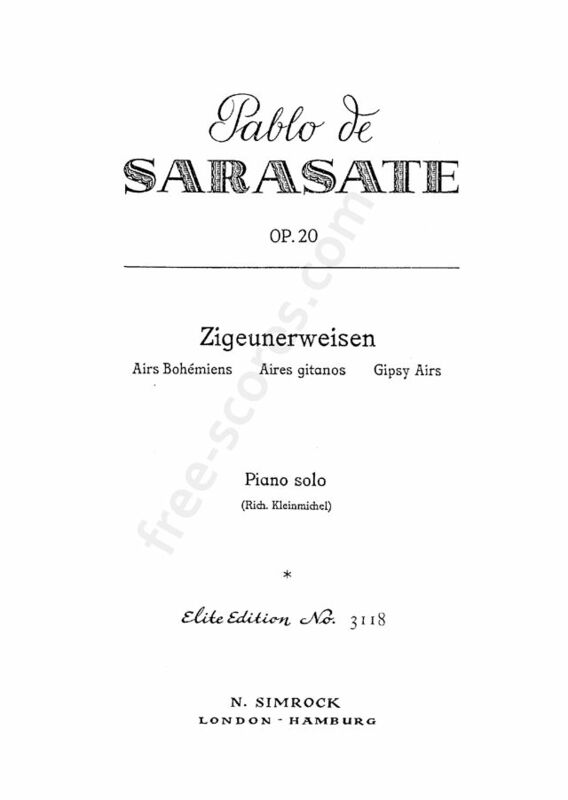 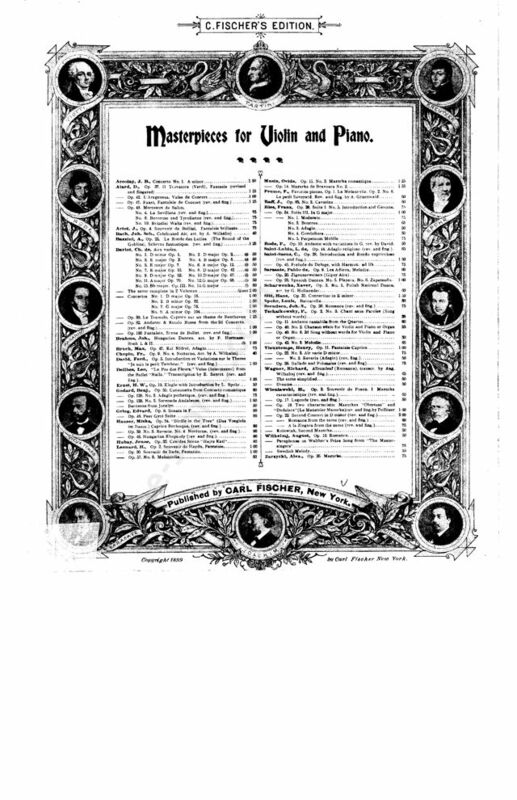 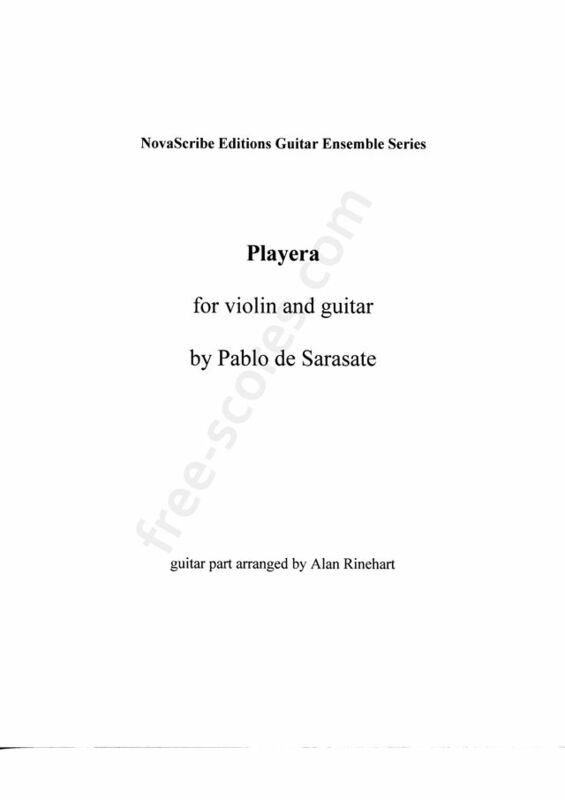 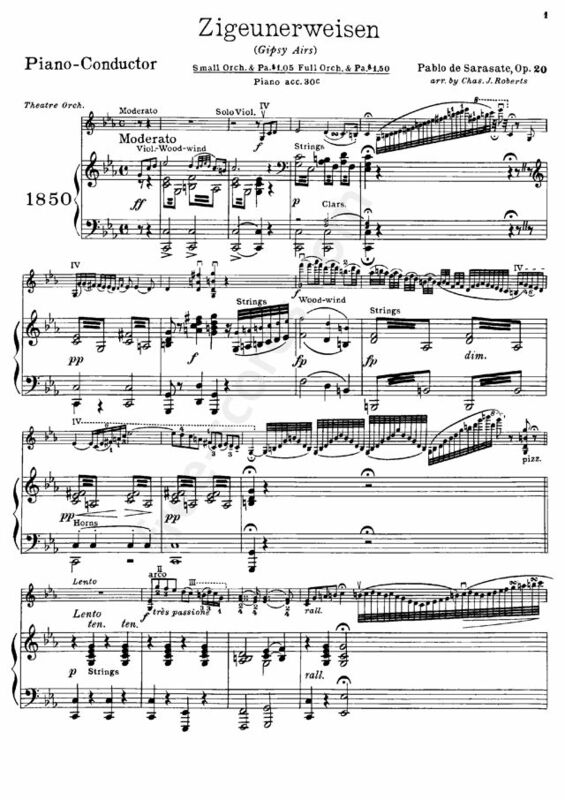 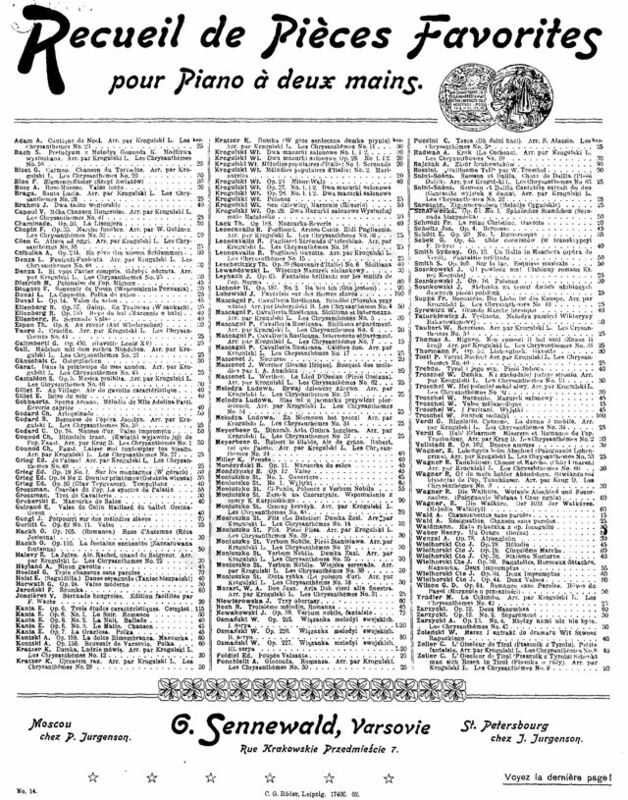 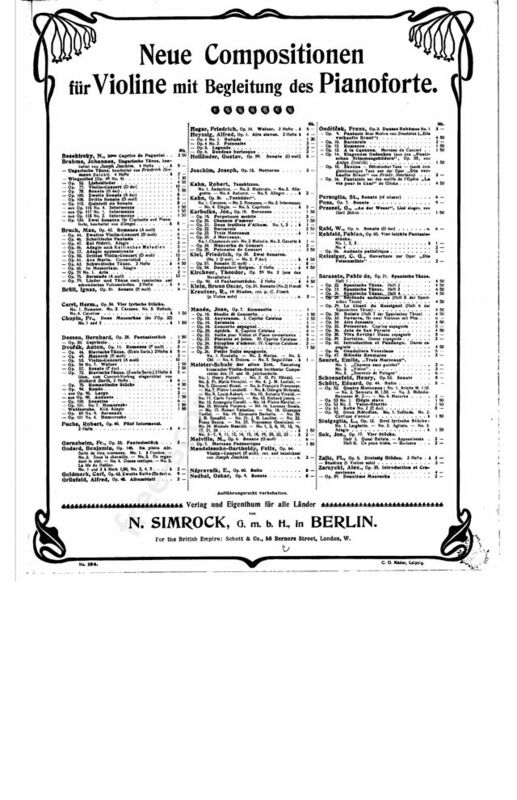 Adaptator : Pantazelos, Chris G.
157 scores found for "Pablo de Sarasate"